Everyone’s had a summer crush. One that’s etched into your memories so hard that it leaves an indelible mark, like a scar on your heart. For me, that crush is my first love, Carver Edwards. I met him at fifteen at summer camp, and for three perfect summers, he was mine. Until the blazing heat of the summer sun faded and reality crashed in. Carver went off to college, leaving me trapped in my small farming town, with no way of reaching him and a problem I needed solving. As the senior captain of my college basketball team, all I’ve been focused on the past four years has been playing, school, getting drafted in the NBA, and steering clear of relationships. I didn’t want them. I had nothing to give another girl. I’d given it already. So, I built my rep as a player, and honed my natural ability to charm the pants off girls. It’s what I did. Who I was. Who I am. Until March, when a lay-up during a tournament landed me in an emergency room, under the care of Logan Shaw – my first love. Of all the people I could run into, why did it have to be her? Not only did my face get split wide open, but so did the locks that held the pain I’d attempted to bury for so many years. Now that she’s back in my life, we must face the truth and the consequences of our actions – even if it could destroy us. We must uncover the truths that have kept us shackled from moving forward. That could possibly set us free. 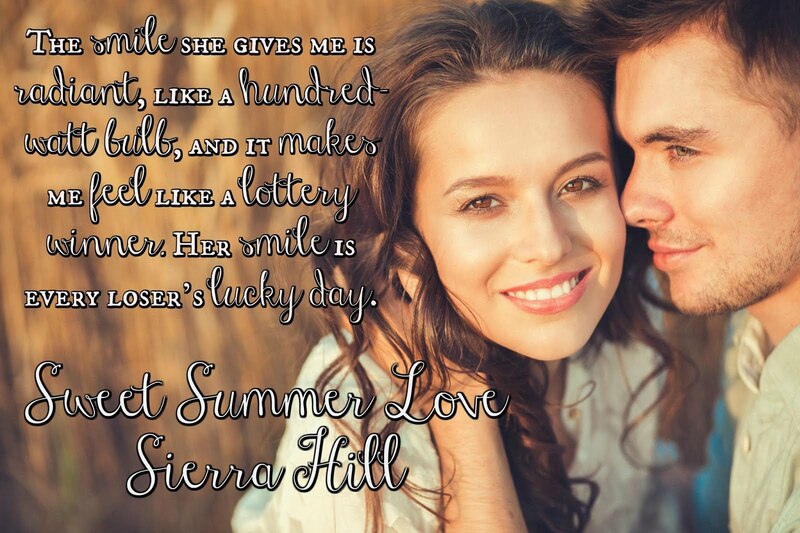 Sweet Summer Love by Sierra Hill from Bibliophile Productions on Vimeo. 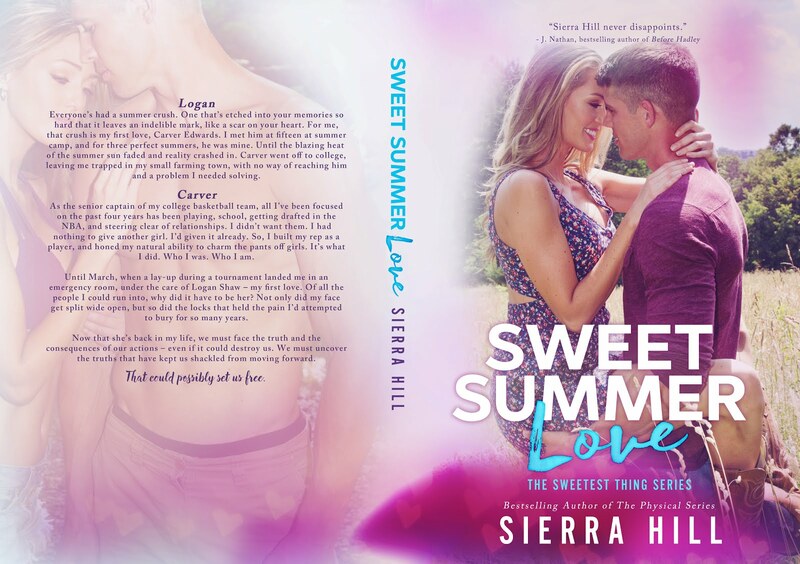 Since writing and publishing her first book in 2014, Sierra Hill has found her creative passion in writing about the fictional characters that live in her brain, who are constantly shouting for their own love stories to be told. Sierra frequently indulges in what some might consider to be an unhealthy dose of reading, dark chocolate candy, and way too much coffee. She hates cold weather, and frequently finds herself traveling around the country to see her favorite live musicians in concert. 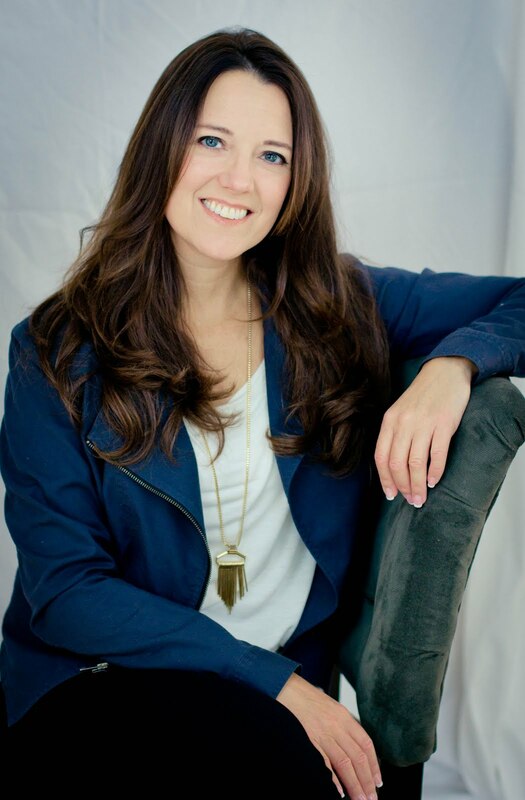 Sierra resides in the Pacific Northwest with her husband of twenty years and her long-haired, German Shepherd. She is currently working on her next book.